CVX is a multipurpose, elegant and well crafted one page portfolio for creative professionals. Anyone can showcase their personal resume, work history, projects and other personal information beautifully using CVX. Though CVX is primarily developed for showcasing portfolio elements, however it can be creatively used to display other essential information for SME business and artistic people. If you want your personal site to be noticeable among others, CVX can be your ultimate choice. 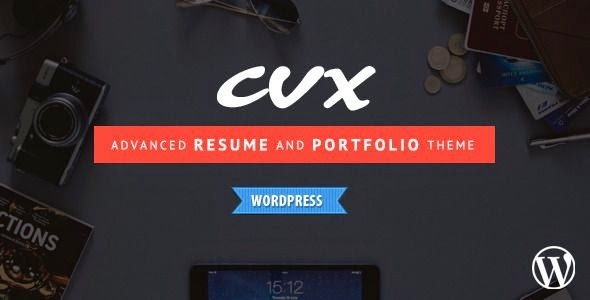 Item Reviewed: CVX Resume and Portfolio WordPress Theme 9 out of 10 based on 10 ratings. 9 user reviews.